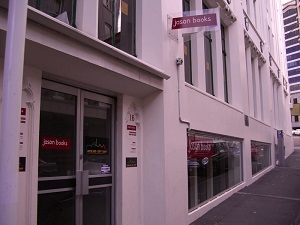 Flash Frontier: Jason Books has been in business for almost 50 years – founded in Auckland in 1969. And you have owned the bookshop since 2002. How has the business changed since its early days – or since you took over? Maud Cahill: In many ways, it is much the same, a wide range of general books at reasonable prices, but the climate of secondhand bookselling has altered a lot and it is much harder for real bookstores to survive. I have to be more careful in choosing books, so I think the shop has a more curated collection. 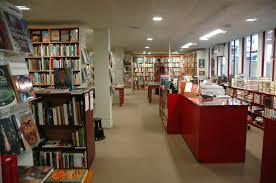 I put energy into the presentation of the books because I think the appearance of the shop is really important. FF: Your catalogue is quite vast, including international literature and volumes around New Zealand regional history, from harbours and minefields to architecture and viaducts. Do you have an area of interest that is your personal favourite? Do you collect titles based on your own (and your colleagues’) interests, or are the collections guided by reader demand? MC: I often think the books I choose represent the interests of my core customer base, so they are like a reflection of the people who have kept the shop going for so long. I am more interested in literature, usually, but the thing about being a booklover is that anything can be interesting if it is in a beautiful book. I love the more esoteric subjects that I stock, and take particular care of them. There is an interesting balance here between breadth and depth; you really have to have some of both to be of interest. FF: We all love a well-loved book. Why do you think that is? Is it the feel of the gently turned pages, or the smell of the decades- or centuries-old pages? Or is there something deeper about our connection to the past that may reside in a superbly maintained old book? MC: For me, it is often the connection with history. The production of the book contains so much about design, materials, and the feel of an era. You know those materials are no longer available; no one is making this particular book again. I often handle those almost indestructible penguin paperbacks from the 1960s and 70s, and the cover art and typography send me right back to my early reading years. FF: In what way does the Age of the Internet impact your business? MC: It has impacted massively. It used to be that if you were looking for an older book, you had to search secondhand bookstores, or put your name down for a book, but now most people can find a copy of most things somewhere on the internet. I think that huge impact has been and gone, most booksellers are part of the online community, and find their own niche within it. Now, many people are rediscovering the joys of real shops. FF: Do you sell children’s books as well? MC: Yes, it’s one of the most popular sections of the shop. I try to keep a good selection, and to keep it changing all the time. 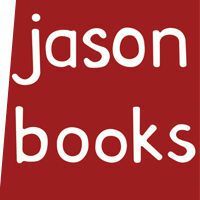 FF: What, in your opinion, are the most special books you have on your shelves at Jason Books? MC: I have a great collection of early New Zealand literature, published by small local presses, and very much the expression of a growing cultural tradition. I also have a comprehensive collection of New Zealand art books. Some of these books are lavish productions, and some no more than pamphlets, but I think those collections are special to this place and I tend them carefully. FF: What is your favourite reading place? Is it at home, in a garden, on the bus? MC: I will read anywhere. My definition of a good place is that I can read in it, but probably my favourite is in bed. FF: And lastly: What are you reading this week? And what can you recommend to readers? MC: I’ve just read a wonderful Russian novel, The Aviator by Eugene Vodolazkin, and am in the middle of Jott by Sam Thompson, a fictional version of his psychologist grandfather’s relationship with Samuel Beckett. The book I have been recommending most strongly this year is The Cost of Living, a memoir by Deborah Levy. Thank you, Maud – for your support of short short fiction and your interest in books and the reading and writing community! Auckland readers: Be sure to check out the Auckland reading of Bonsai: Best small stories from Aotearoa New Zealand. Bonsai book tour: Auckland taking place 06 September at Jason Books!